EV chargers plus energy storage are expected to lower demand charges and avoid utility-funded infrastructure upgrades in a pilot program in Hawaii. 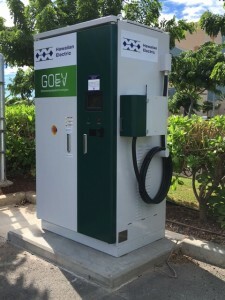 In the pilot, a partnership among Hawaiian Electric (HECO), the Electric Power Research Institute (EPRI) and Greenlots, a 50-kW fast charger for EVs is coupled with energy storage at a HECO site that has only 23 kW of capacity, said Brett Hauser, CEO of Greenlots, which develops solutions for charging EVs. Not only can stored energy supply the charging station; it can also be fed back to the grid, he said. The Greenlots system tracks pricing so the EV driver knows when it’s best to charge and also allows drivers to pay using mobile applications. “The customer has the lowest price point possible and is able to take advantage of the democratization of electricity,” he said. The pilot is expected to show how valuable energy storage can be in situations where there’s limited capacity to charge EVs. In some cases, the utility is responsible for upgrading the service at an EV charging site, he said. The energy storage ensures the utility doesn’t have to do that. “Depending on the location and use case, the utility would ostensibly be paying for it. And if the utility is paying for it, it winds up going to their overall cost of managing the infrastructure and affects ratepayers.” In this case, HECO is managing the charge station, and it would be HECO’s responsibility to invest in infrastructure upgrades. In the pilot, HECO will study the return on investment for using the energy storage, as opposed to building out the infrastructure, Hauser said. 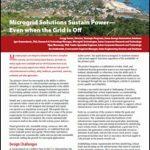 The battery can provide capacity back to the grid when it’s not providing capacity for the charge station, Hauser explained. 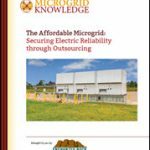 FERC Order 745, which sets targets for demand response, provides opportunities to take stored capacity and put it back onto the grid and provide benefits for everyone. Ratepayers don’t have to spend as much money on peaker plants and the like,” he said. In spite of lower oil and gasoline prices, demand for EVs hasn’t dropped, he noted. “It’s not just an economic decision any more; it’s about global warming, and car buyers are realizing we have to do our part and be more energy aware and efficient,” said Hauser.